Volkswagen is considering a component assembly plant in Ethiopia, in addition to the two recently announced assembly plants in Ghana and Nigeria. The foray into Africa represents a growth opportunity for the car maker in light of the expected recovery of the continent’s economies recently hit by the downturn in commodities. According to the Export-Import Bank’s Africa Trade Report 2018, African economies will grow by 4.1 per cent in 2018. The report has partly attributed the expected growth to the strengthening of oil-producing economies, especially Nigeria, Angola and Libya. Establishment of the assembly plants could be initial steps towards building manufacturing capacity on the continent. This followed the company’s signing of memoranda of understanding (MOUs) with Nigeria and Ghana. It said it wanted to develop a joint vision to secure the development of Nigeria as an automotive hub. 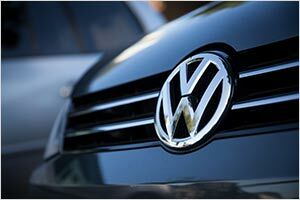 Dlamini said VW would continue to explore opportunities “as and when they present themselves. After having signed the MOUs in Ghana and Nigeria the next country we are in discussion with is Ethiopia to explore potential opportunities going forward. This is more around component supply than vehicle assembly.”He also added saying VW’s operations in Kenya, Rwanda, Nigeria and Ghana were start-ups with a potential installed capacity of 5,000 units.